Most Americans might not know this but Dallas, Texas, is set to become one of the nation’s greenest cities — literally. The city has already set plans in motions that will see it host the biggest urban nature park in the United States. 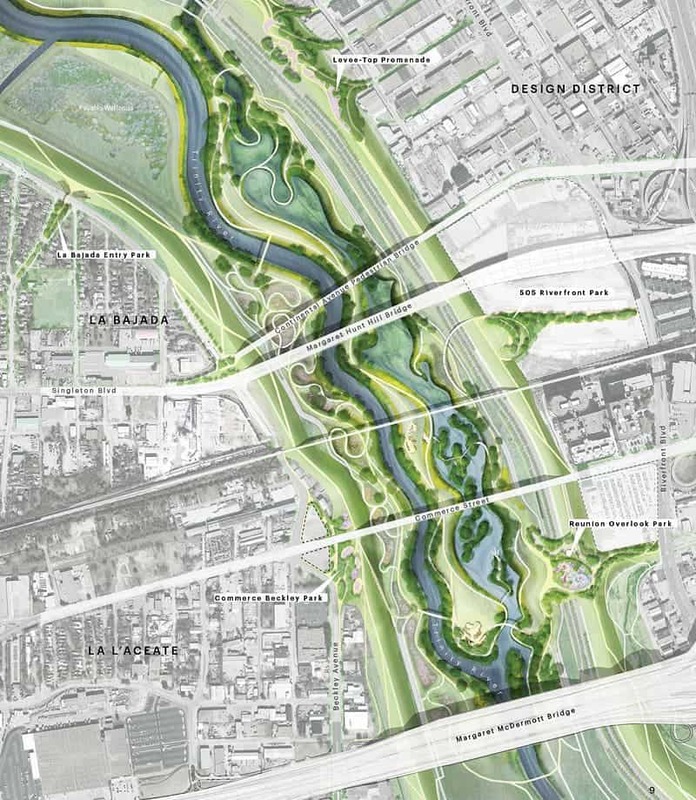 The new “Nature District” in Dallas will comprise no fewer than 10,000 acres of lush vegetation. 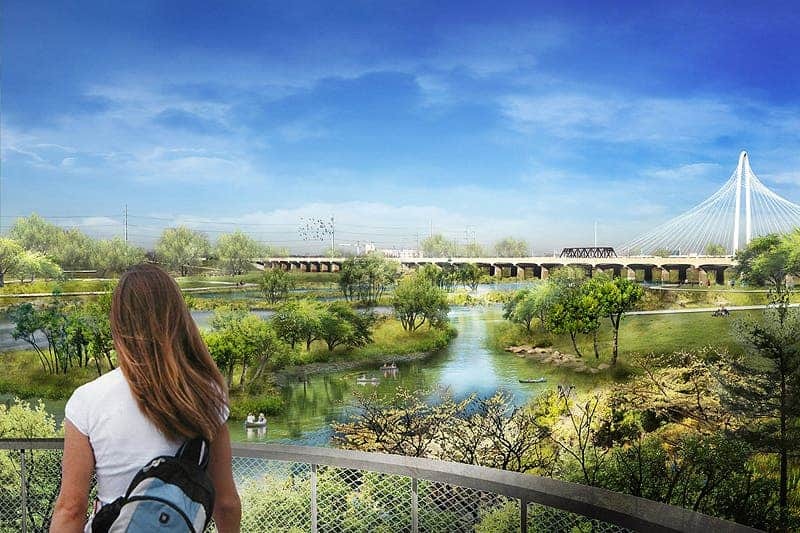 This huge nature reserve will be located in the city’s Trinity River Corridor, an integral part of Dallas’ history and heritage. Long stretches of undeveloped land, however, block access to most parts of the river banks and its surrounding landscape. For many years, residents have petitioned town hall to do something about it and return Trinity River back to the people. They may now have satisfaction. Working with design firm Michael Van Valkenburgh Associates (MVVA), government officials are now confident enough to start work on the Nature District which will be comprised of several large-scale infrastructure works. 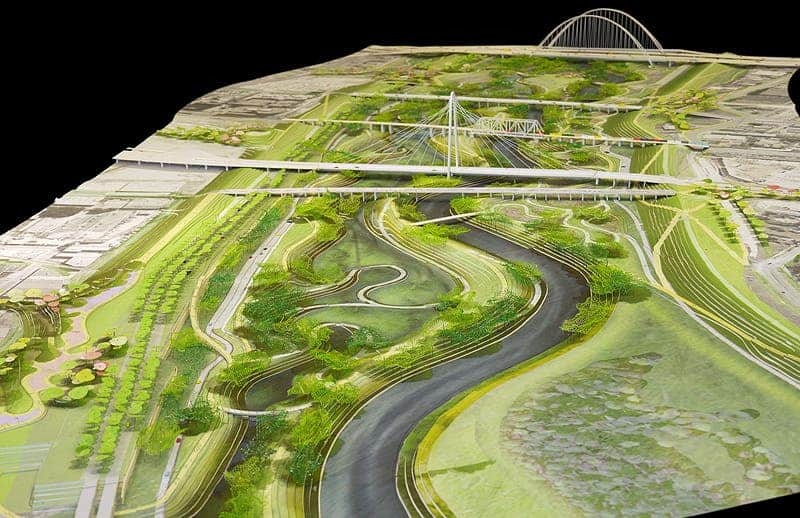 Trinity River Park will occupy 7,000 acres of the Great Trinity Forest. 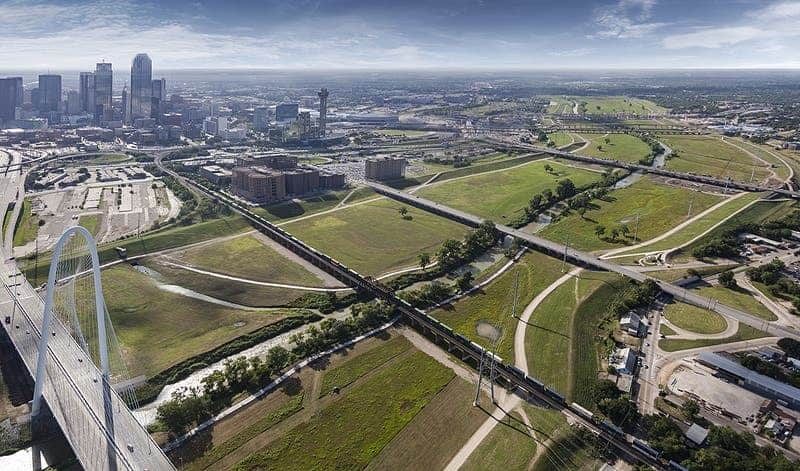 The Trinity Floodway, which has always been a cause of concern and damage for Dallas, will be transformed and integrated into the Trinity River Park. Inside the park, Dallas folk will be able to enjoy both stunning natural landscapes and civic spaces like playgrounds, fountains, plazas and lawns. The huge space will stretch from downtown Dallas all the way to the southern end of the Great Trinity Forest almost 20 river-miles away. A special consideration was given to safety against floods, Valkenburgh Associates said. 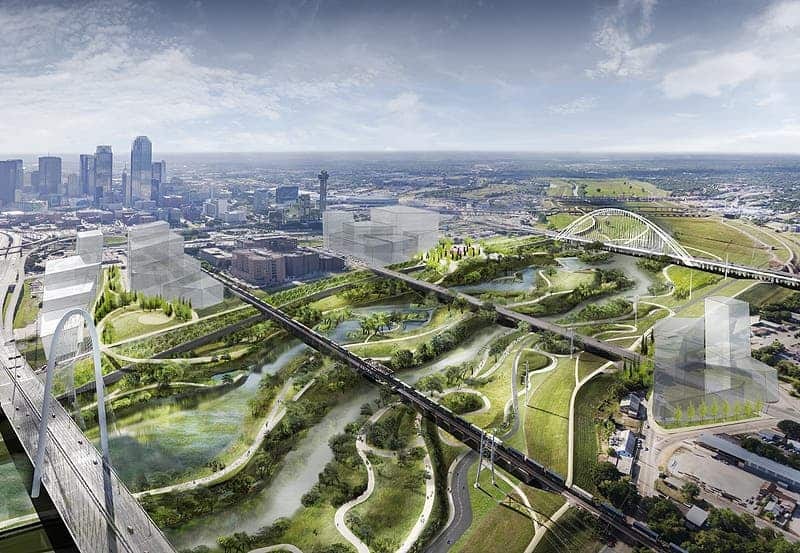 Trinity River Park has $80 million in private-public funding so far which should kick start development works for the Nature District. At this point, it’s worth nothing that Nature District is actually a three-part project comprised of Trinity River Park, a 1,000-acre portion of Great Trinity Forest turned into a golf course, and the Trinity Lakes which combined are as a big as White Rock Lake. Additionally, the Trinity Strand Trail project wants to add 73 miles of trails in the area. The two and a half miles have already been opened. It will take many years before this project is finished but at least Dallas residents know they’ll soon get to live in one of the greenest urban cities in America. “The Trinity project in its completion will redefine Dallas for the 21st century. We need a park to do that,” Dallas Mayor Mike Rawlings said.